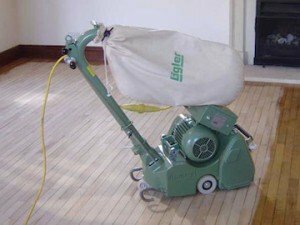 We have been floor sanding in Melbourne for over 20 years. Whether you have timber floors, floating floors, parquetry, or any type of floorboards, we are the foremost experts in all types of commercial and residential floor sanding from small rooms to large exhibition halls. We have the latest equipment to minimise dust and deliver a perfect result every time. Out staff are fast, professional, courteous, and very experienced. They know exactly what needs to be done to sand and treat every part of your floor. Different sanding techniques must be used depending on the type, age, and condition of your wood floors. Older floors, especially with damage due to water or dampness over the years, can become soft and brittle. Our flooring experts have the knowledge, skills, and advanced tools needed to do the job right for all types of wooden flooring. We will carefully inspect your floors beforehand to decide on what type of treatment they require. When we’re done, your floors will look like new again! Did we mention we have been in Melbourne for over 20 years? We started in the north – Brunswick, Carlton, Fitzroy, North Melbourne – and we quickly started serving other areas – North Melbourne, South Yarra, Toorak, Richmond, Kew, and more. Why choose us? We will get the job done in a timely and professional manner. We offer very competitive prices and use the highest quality tools and products. We offer completely free, no obligation estimates. Contact us now on 0402 093 872 or our contact form for the best possible results for your hardwood floors.